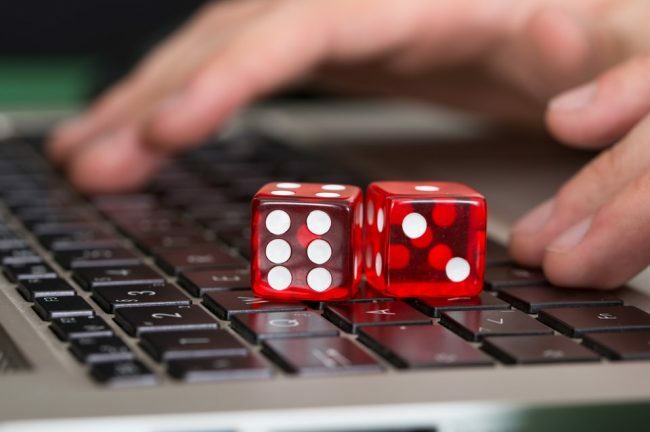 Last year was an exciting one for proponents of online gambling legalization in the United States, especially after Pennsylvania legislators finally signed a bill into law that legalizes and regulates online gambling within its territory. Pennsylvania thus officially became the fourth US state to authorize and regulate iGaming, alongside Nevada, New Jersey, and Delaware. What is more, the Pennsylvania Gaming Control Board already announced the application and acceptance process for prospective licensees is to start on April 2, 2018. This would allow landbased gambling operators that are already licensed by the state to apply for iGaming licenses on condition they team up with third-party software developers to power their interactive gambling portfolios. Pennsylvania’s move is considered a turning point in US online gambling history and leaves many iGaming supporters wondering which states are likely to follow in its footsteps. Many hope this would cause a domino effect in the country, considering the huge amount of interest the introduction of gambling regulations has attracted so far. More importantly, some US states have already made the first steps towards authorizing some types of online gambling within their borders. The state of New York is one of the biggest contenders where online gambling legalization is concerned. In the year 2017, an important piece of legislation, S 3898, came into play and is likely to be brought back for further discussions in 2018. This bill sought to legalize online poker and sports betting activities on the territory of New York. Bill S 3898 was passed by the Senate in 2017 but died in the Assembly where it was returned at the start of this year. In January 2018, the same piece of legislation emerged out of the Senate’s Racing, Gaming and Wagering Committee and was then reported to the Finance Committee with a vote of 10/1. The main driving force behind the bill is State Senator John Bonacic. He is confident the prospects of S 3898 would be further boosted by the fact that the massive Resorts World Catskills Casino opened its doors on February 8, 2018. This was the last of the four landbased casino resorts that were approved back in 2013. Public discussions have indicated that the state’s lawmakers were waiting for all four commercial casino resorts to open doors before they proceed with legalizing online gaming. Many iGaming supporters are hopeful the year 2018 will finally see the passing of the crucial bill in an attempt to make New York casinos more competitive. Additionally, the authorization of online poker is likely to generate extra revenue to New York’s brick-and-mortar casinos which have so far demonstrated poor results in this respect. 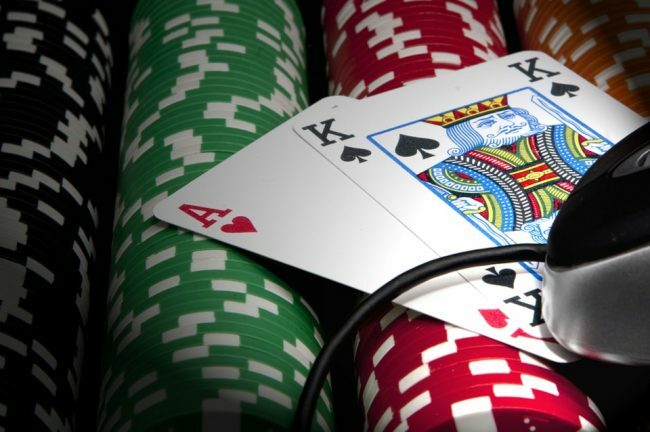 California used to be one of the most serious contenders to authorize online poker. In fact, lawmakers in the Golden State have been trying to legalize online poker over the last ten years. The last attempt took place back in February 2017, when Assemblymember Reginald Jones-Sawyer introduced the Internet Poker Consumer Protection Act of 2016, also known as AB 1677. In fact, Assemblyman Jones-Sawyer has been involved in the issue of online poker legalization since 2014 and has sponsored different bills since then. AB 1677 was the last piece of legislation he introduced and contained provisions for the authorization, taxation, and regulation of online poker activities within the borders of the state. If approved, the bill was to allow local tribes and card rooms in California to apply for seven-year licenses after paying a single-time tax of $12.5 million. The Internet Poker Consumer Protection Act of 2016 also included a provision that was to prohibit California’s horse racing industry from participating in web-based poker operations. As a means of compensation, racetrack operators were offered to annually collect 95% of the first $60 million the online poker operations generated. It was up to the local gambling regulatory authorities to decide which poker operators were to be allowed to apply for licenses. 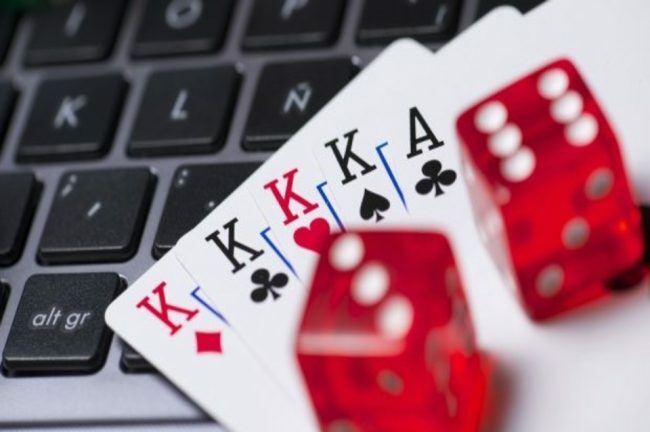 One of the biggest providers of online poker services, PokerStars, did not make the cut as local tribes argued that the operator had previously violated the Unlawful Internet Gambling Enforcement Act that prohibited real-money online poker operations. Unfortunately, the passing of AB 1677 was stalled by a variety of factors, including the growing animosity between the local tribes and card room operators. A 2/3 majority vote was needed in order for the legislature to pass, but this was hardly achievable due to the increasing tensions between online poker opponents, local tribes, card room operators, and lawmakers. There is little prospect of California legalizing online poker in 2018. Assemblymember Jones-Sawyer recently stated that the state’s lawmakers are not altogether giving up on the idea of authorizing online poker but are likely to wait until 2019 to bring up further discussions on the matter. The politician also explained he does not intend to reintroduce AB 1677 to the state’s Assembly for further consideration this year. The battle is not yet lost, however. Assemblyman Jones-Sawyer revealed he and his fellow legislators plan to reintroduce a new piece of legislation in 2019 as part of a package deal that is to encompass both online poker and sports betting operations. In other words, the state is looking to join potential online poker regulations with a sports betting bill as part of a more comprehensive gambling expansion rather than discuss it as a standalone matter. Similarly to other states, California is keeping a close track of the legal dispute between the State of New Jersey and the National Collegiate Athletic Association (NCAA). New Jersey Senator Chris Christie challenged the Professional and Amateur Sports Protection Act (PASPA), which is a federal law that prohibits the provision of sports betting services in all US states save for Nevada, Delaware, Montana, and Oregon. Moreover, under the terms of the Act, the states are prevented from authorizing and licensing sports betting operations. Senator Christie argued PASPA is in stark violation of the 10th Amendment which dictates that all powers that are not granted to the federal law belong to the states and their people. If the US Supreme Court rules out in favor of the state of New Jersey, individual states will be allowed to legalize and regulate online sports betting. However, supporters of online poker in California should not be too quick to get their hopes up even if New Jersey wins the case this June. Assemblyman Jones-Sawyer expressed his doubts on California moving forward with the combined sports betting and poker bill in 2018, even if the Supreme Court rules in favor of New Jersey this summer. In case of a favorable ruling, California lawmakers are likely to start working on the new legislation at the beginning of 2019. This would supposedly provide them with a sufficient amount of time to settle the disputes between all parties involved, including card rooms, local tribes, supporters and opponents of online gambling. Another state likely to give interactive gaming the green light this year is Michigan, which approved an online gambling bill at a hearing of its House Regulatory Reform Committee in December 2017. If the said bill passes, online gambling would become legal within the Wolverine State, with operators facing a 10% tax on their revenue. New Hampshire authorized the provision of online lottery in June 2017 which is to say the authorization of other interactive gambling operations may also be likely to gain new life in 2018. Massachusetts introduced a bill that seeks to permanently legalize the provision of fantasy sports gambling, with plans to impose a 15% on the revenues of operators that provide contests of this type. Daily fantasy sports were granted a temporary legal status which expires at the end of July 2018. DraftKings welcomed the introduction of the new bill, stating it was to give fantasy sports providers more legal certainty. 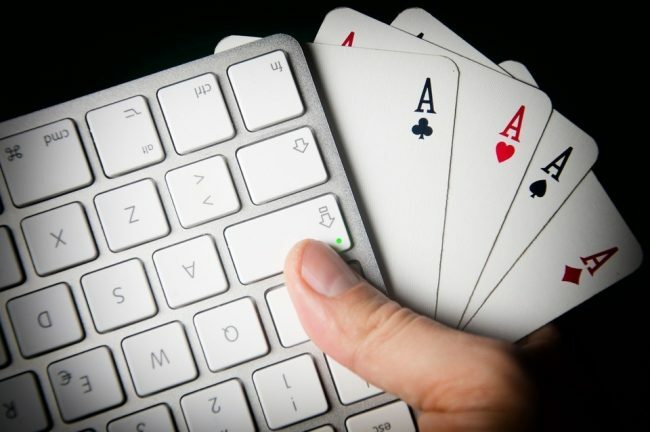 Advocates of online gambling legalization in the US have plenty to look forward to this year. The bottom line is introducing proper regulations appears to be the best possible outcome as it would put an end to unlicensed gambling operations and bring in additional revenue to the states’ coffers.